Mohanlal's upcoming release 1971 Beyond Borders is slated to be released soon. 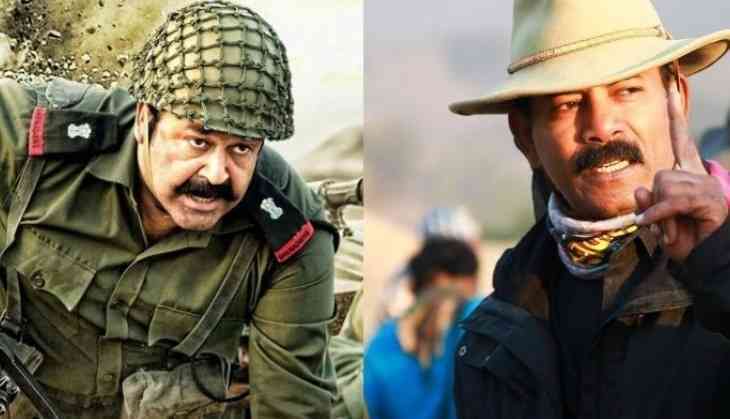 Directed by Major Ravi and produced by Haneef Mohammed under Red Rose Creations, the war drama marks the fifth collaboration of Mohanlal and Major Ravi. The actor - director duo had earlier worked together in Keerthi Chakra, Kurukshetra, Kandahar and Karmayodha. The makers had launched the audio of 1971 Beyond Borders on Thursday. The event was attended by entire 1971 Beyond Borders team along with veteran Malayalam film director, Joshiy. During the event, Mohanlal had stated that 1971 Beyond Borders will be an entirely different film compared to other war films. He also thanked Major Ravi for the film and called it a wonderful film. "1971 Beyond Borders is very different film compared to other films I have done with Major Ravi. It is inspired by some real-life events. The film has a philosophy and that is to perceive our enemies as threats only in the battlefield but otherwise we should treat them as fellow human beings. The action sequences in 1971 Beyond Borders will be very different from other war movies. We have used tanks in action sequences and we have put in a lot of effort to do this film. We went to the actual artillery firing zone and shot action scenes. I hope all our hard work will pay off. Thank you, Major Ravi, for a wonderful film". 1971 Beyond Borders stars Asha Sharath in the lead, and marks the Malayalam debut of Telugu actor Allu Sirish and Bollywood actor Arunodhay Singh. The film also stars Renji Panicker, Saiju Kurup, Priyanka Agrawal, Srushti Dange, Neha Khan and Zoya Zayed Khan. 1971 Beyond Borders will hit the screens on April 7.